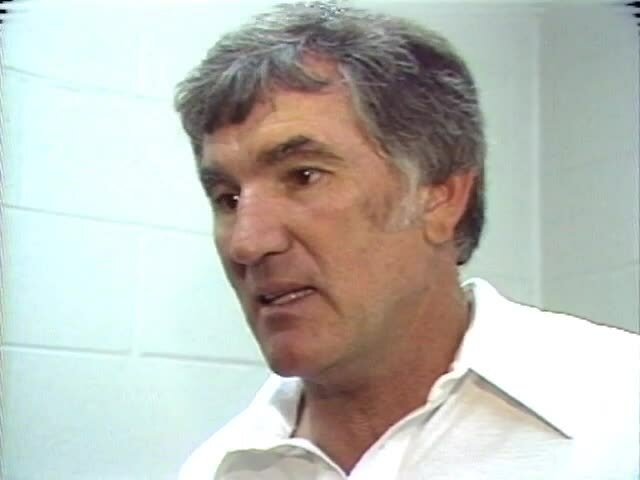 Former Bengals quarterback Ken Anderson tells WCPO that Forrest Gregg was just what the Bengals needed to instill discipline and toughness in an underachieving team and lead it Super Bowl XVI. CINCINNATI — Bengals greats Ken Anderson and Anthony Munoz remember the late Forrest Gregg as the main reason their team made the Super Bowl after the 1981 season. Anderson said the old-school coach turned a losing team around by demanding hard work and discipline in a way that today's players would not have liked. 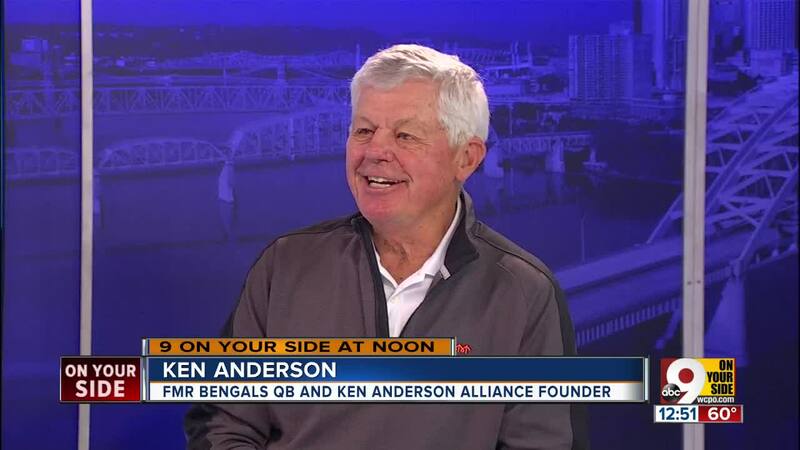 "He was just what the Bengals needed at that time," Anderson said on 9 On Your Side at noon Friday. "In '78 and '79 we were not a very good football team and he came in 1980 and he installed discipline and a physical toughness and worked us really hard. It was a very physical time - practices were always a lot of hitting - and in two years we went to the Super Bowl, and we kind of owe it all to him. "I think if you talk to the players that played for him, he was the one that established the culture and the way we did things and - I'm not sure you could get away with it today - but was a great, great coach," Anderson said. Munoz agreed, telling WCPO: "I just remembered he would demand hard work but he would also appreciate it. I just loved the guy. I loved playing for him. He had so many great qualities as far as leadership." Barbara Gregg said her husband of 59 years died in Colorado Springs from complications of Parkinson's disease. He was 85. Gregg spent only four seasons with the Bengals (1980 to 1983), but it was a time that fans still remember fondly. In 1981, Gregg's second season as head coach, the Bengals won the AFC Championship over the San Diego Chargers in the so-called "Freezer Bowl," the coldest NFL game in history. That victory sent the Bengals to their first-ever Super Bowl appearance. They lost to the San Francisco 49ers 26-21, but nearly pulled it out with a second-half comeback from a 20-0 deficit. Bengals President Mike Brown said he was saddened "greatly" by Gregg's death, and expressed sympathy to his wife, Barbara, and children. "It's a sad day here," Brown said. "My memories of Forrest are very special. He not only was the coach of the team, but we were also good friends. "As a coach, he was very successful here. We had good people, good players and he got the best out of them. He was very demanding. The players didn't try to cut corners. They went out and did what they had to do, and what we were doing worked. We were somewhat ahead of the curve at the time." Gregg, a Hall of Fame tackle for the legendary Green Bay Packers, winners of five NFL championships and the first two Super Bowls in the 1960s, commanded respect from the day he arrived, Anderson said. "Forrest was a very imposing man. He was large. He had a great legend when he came here, a great reputation. He was a Hall of Famer," the former quarterback said. "That is like the highest of high compliments," Muñoz said. Gregg was also the main reason Munoz became a Bengal. He personally scouted and drafted Muñoz, telling Bengals owner Paul Brown, "Anthony Munoz will be one of the best offensive tackles ever to play the game," according to the Hall of Fame. Gregg personally attended a two-hour workout at the University of Southern California's practice field to watch Muñoz after his senior season. Because of multiple knee injuries, Muñoz played just one full game his senior season. But the Bengals selected him third overall in the 1980 NFL Draft on Gregg's recommendation. Before Gregg arrived in Cincinnati with his Texas drawl in 1980, the Bengals were 4-12 in 1978 and '79. In Gregg's first year, the Bengals went 6-10 in 1980 but could've easily been 10-6 after losing some games late. The transformation had begun. "You could see the tide turning," Muñoz said. "...The guy came in with a phenomenal plan to turn it around." Gregg's Bengals went 12-4 in '81 and 7-2 in the strike-shortened season that followed, losing to the Jets in the first round of the playoffs. They slipped to 7-9 in 1983. Gregg's time with the Bengals came in the middle of an 11-season span as NFL head coach, first with the Cleveland Browns (1975-77). He resigned from the Bengals on Christmas Day 1983 to take a five-year contract to coach his beloved Packers (1984-87). He played in Green Bay in 1956 and from 1958 to '70, and also played one season for Dallas in 1971. During Gregg's playing career, he was named All-NFL for eight straight seasons, played in nine Pro Bowls and won three Super Bowls, including his season with the Cowboys. He earned the nickname "Iron Man" for playing in a then-record 188 consecutive games. Gregg was elected to the NFL’s All-Decade Team of the 1960s and the NFL’s 75th Anniversary All-Time Team. He was enshrined into the Pro Football Hall of Fame in 1977. "The game lost a giant today," Hall of Fame President and CEO David Baker said in a written statement. "Forrest Gregg exemplified greatness during a legendary career that earned him a bronzed bust in Canton." "He was the type of player who led by example and, in doing so, raised the level of play of all those around him. Forrest symbolized many great traits and virtues that can be learned from this game to inspire people from all walks of life." Muñoz said he had most recently seen Gregg at the Hall of Fame induction weekend in Canton, Ohio, in 2017. Gregg was diagnosed with Parkinson’s disease in 2011. He became the spokesperson for “Parkinson’s More than Motion,” a community of outlets and resources including a strong presence on Facebook where patients share their experiences. It includes a series of online videos aimed to educate the public on the motor and non-motor symptoms of the disease. Other survivors include son Forrest Gregg Jr., of Cincinnati, and daughter Karen Gregg-Spehar, of Santa Fe, New Mexico. Services will be held on Wednesday April 17, 2019 at 2 p.m. at First United Methodist Church, 420 N Nevada Avenue, Colorado Springs, Colorado. RELATED: Original Bengals linebackers coach and longtime scout passes away at 95.